One of the easiest and cheapest ways to go in making a shooting bench si go to Home Depot or Lowe's and get a 4 x 4 x 3/4 inch sheet of plywood. Get a set of folding locking table legs. Take the plywood home and cut out a 20" x 20" inch area at one of the ends of the sheet of 4 x 4 plywood and sand and round off the corners. Attach the folding table legs to the bottom fo the 4 x 4 sheet and you are good to go. It is easily transpotable, doesn't weight a lot and is about the right height for your keester when you use a cooler or a rolling portable mechanic's tool crib. If the adjustment is still a little low, go to your kkitch and steal your wife's kitchen chair pads. This will not only add more comfort to your shooting, but remember to advise your wife that it is for a good cause!! Use a large cooler so you can keep that much needed icce water and soda pop, and day sandwiches in it. There you go, a perfect solution and its not that expensive. Any more questions, just e-mail me! 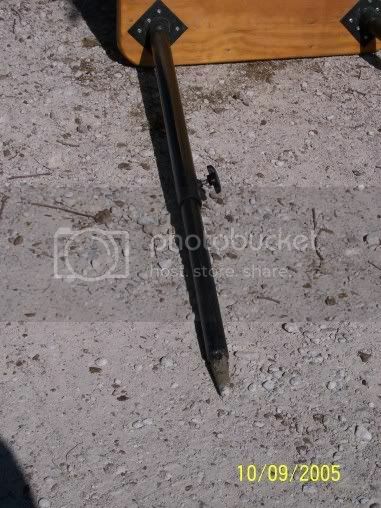 We use these tables in Montana and South Dakota prairie dog hunting all of the time. And they are very easy to transport in your car or truck when folded down. I have a VarmintMasters BR Pivot light and I am very happy with its performance. It is easy to set up, easy to break down, and very stable for long range shooting. The tabletop and the seat move as a single unit while pivoting so it is easy to scan for targets. Motion is so smooth that I can pivot the bench to make small windage adjustments, if needed. The ability to level the table allows setup nearly anywhere. I also purchased the custom carrying bags which makes transport simple. I could not imagine a system that is better than this setup. I have not personally seen a Big Shooters bench so I cannot compare. However, comparison to an economy bench by Coyote Jake's (I believe that is what a friend of mine has) is not contest. I am not sure if this is helpful since VarmintMasters no longer produces this model but I thought I should put in my 2 cents. For someone who can weld or has access to a welding shop and would like to build their own pivot shooting bench . Richard Franklin at Richard's Custom Rifles sells a set of plans that I have used for two benches. Very solid but very heavy. I ended mounting mine on a trailer. A mini-war wagon if you will. If I can remember how to post pictures I'll post a picture of it later. Here is one I built which works well. It is very stable and has adjustable legs so you can level it anywhere and also raise it high enough to shoot off of while standing. Many years ago we shot Prairie dogs off the hood of the truck over a rolled up jacket or a sleeping bag. Then I made a tripod that I could use prone and later on I discovered shooting from a bench. I made a few different styles but none of them were perfect. 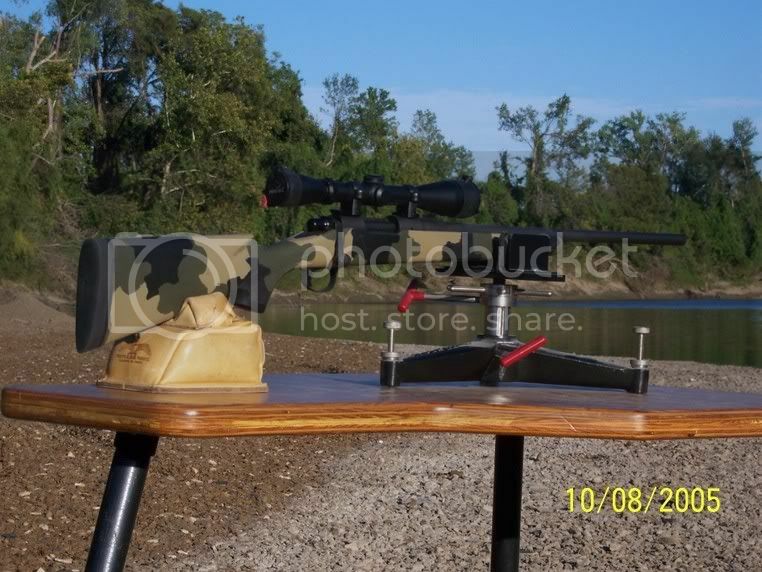 A few years ago my shooting buddy introduced me to the Coyote Jake table. I've used it now for going on 4 seasons and I love it as much today as the day I got it. It's simple and it works. I had a chance to try a Big Shooter last year and it's a toss up as to which is better. The best change I made to mine was to glue a piece of carpet to the top. Keeps the brass from rolling off and saves your elbows from rubbing themselves raw. MODERATOR -- The carpet is a nice idea. I'll remember that for the article. I've used a folded beach towel, but it tends to flap in the wind. I used automotive trunk carpet. Found it at the local Autozone store.